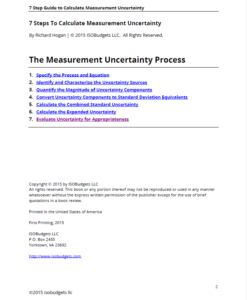 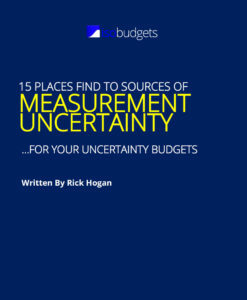 Save Time and Calculate Uncertainty Faster by searching the 15 best places to find sources of measurement uncertainty for your uncertainty budgets. 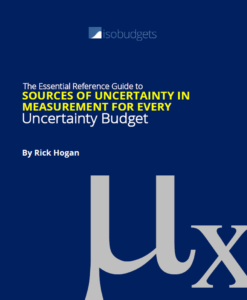 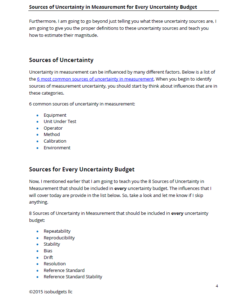 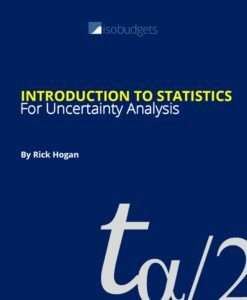 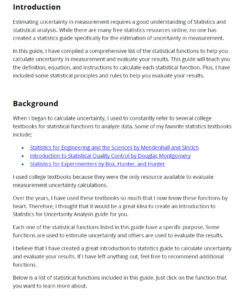 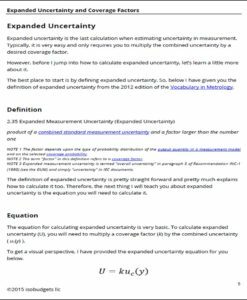 This 20 page guide will show your all the best places to search for sources of uncertainty. 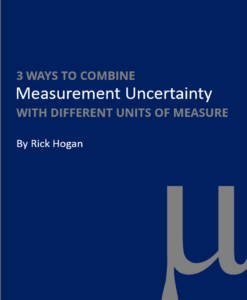 Learn how to calculate sensitivity coefficients for measurement uncertainty analysis in 9 easy steps. 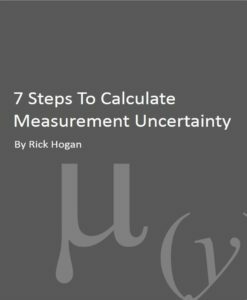 This 19 page guide will show you how to calculate your first sensitivity coefficient for estimating uncertainty in measurement. 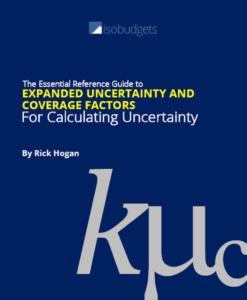 Plus, this guide is packed full of examples and other helpful information. 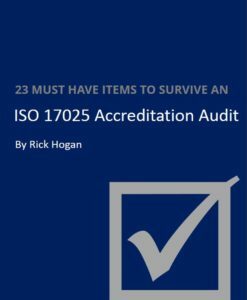 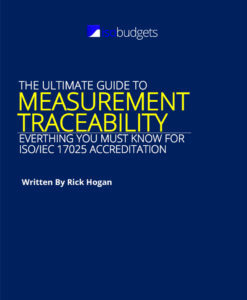 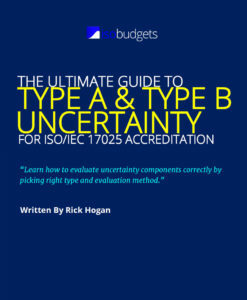 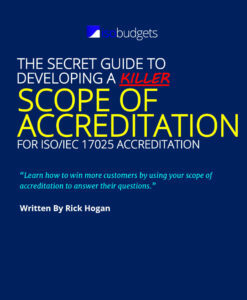 This is the ultimate guide to calculating sensitivity coefficients for ISO/IEC 17025 accredited laboratories. 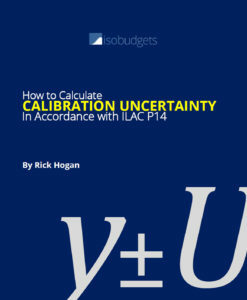 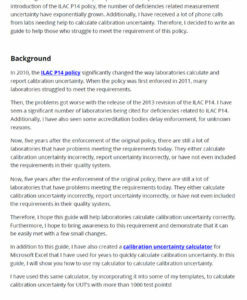 Learn to calculate calibration uncertainty in accordance with ILAC P14/01:2013 for ISO/IEC 17025:2005 calibration reports.